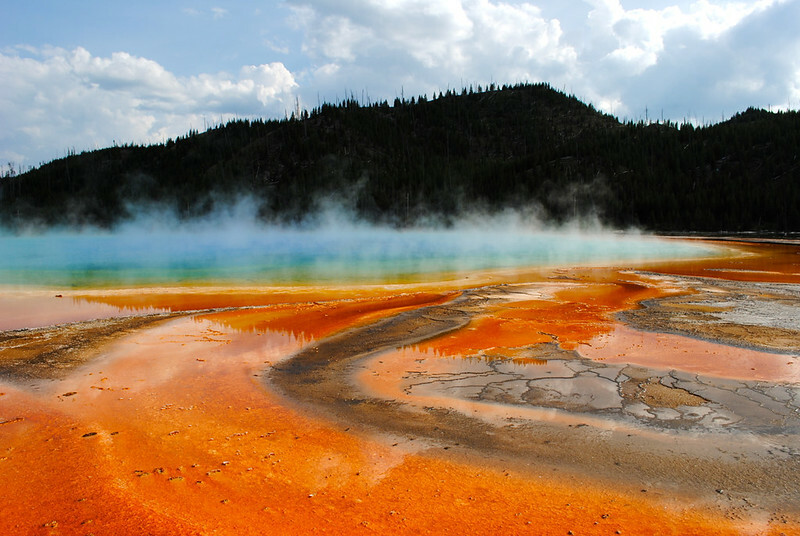 There are few parks across this continent that inspire more awe and curiosity than Yellowstone National Park. 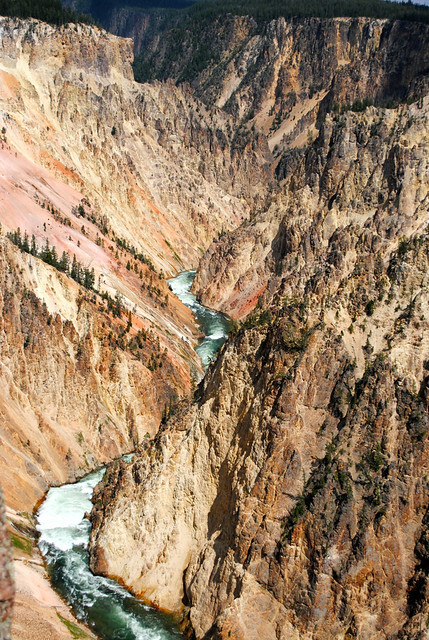 Straddling the border between Montana, Idaho, and Wyoming, the park covers more than 3,000 square miles and is the first national park in the entire world. It was also the second official stop on our road trip this summer after making our way through Glacier National Park. The drive from the western region of Montana to the park took the better part of one day and accounted for nearly eight hours of driving. Multiple coffee stops and gas refills along the way were necessary, but the trip itself was beautiful. It’s really about the journey and not just the destination, right? Montana isn’t known as Big Sky Country without good reason, and the sweeping views across the Montana plains to towering mountains were incredible. 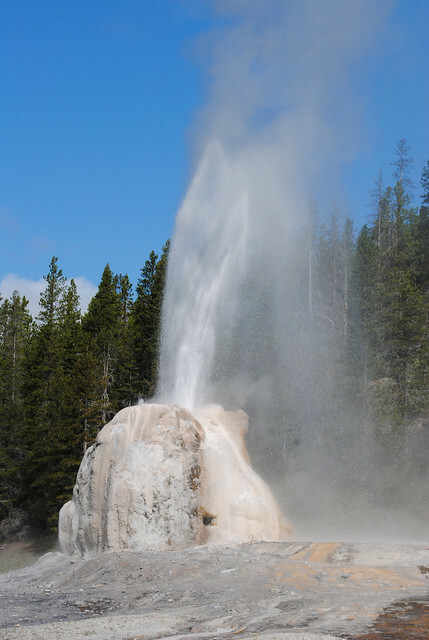 The west entrance to the park is through the town of West Yellowstone in Montana – visitors cross into Wyoming once in the park. Our game plan was to camp in a fairly central location within the park and then explore by fanning out from there. While I knew that Yellowstone is a large park, I definitely didn’t realize just how expansive it truly is. Driving from one scenic stop to the next can take up to an hour – and sometimes more – depending on traffic within the park. It’s not unusual to get caught up in an infamous “bear jam.” This occurs when one person spots a bear (or other awesome wildlife) at the side of the road, and the 30 cars behind also stop to get out and look. 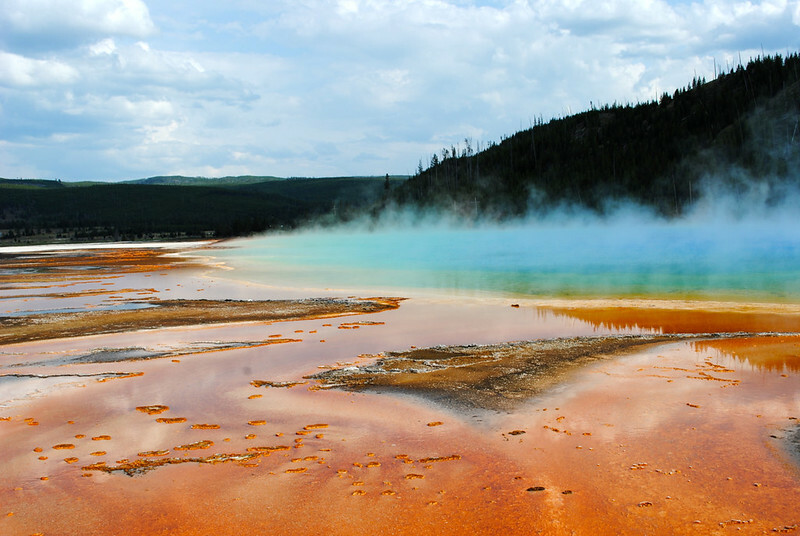 Yellowstone National Park attracts approximately two million visitors from around the globe each year for two main reasons: geysers and wildlife*. 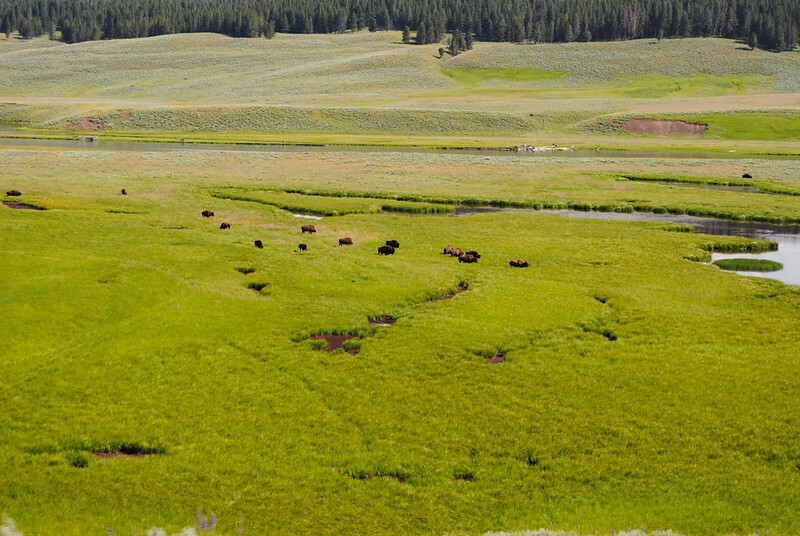 The park is home to bears, wolves, bison, elk, moose, deer, mountain goats, mountain lions, and bighorn sheep (just to name a few). Being that the park is essentially one large caldera, I knew that seeing geysers was nearly a guarantee, but I wasn’t so sure that spotting wildlife would be as simple. However, within just a few miles of entering the park, I spotted my first bison and it wasn’t going to be my last. 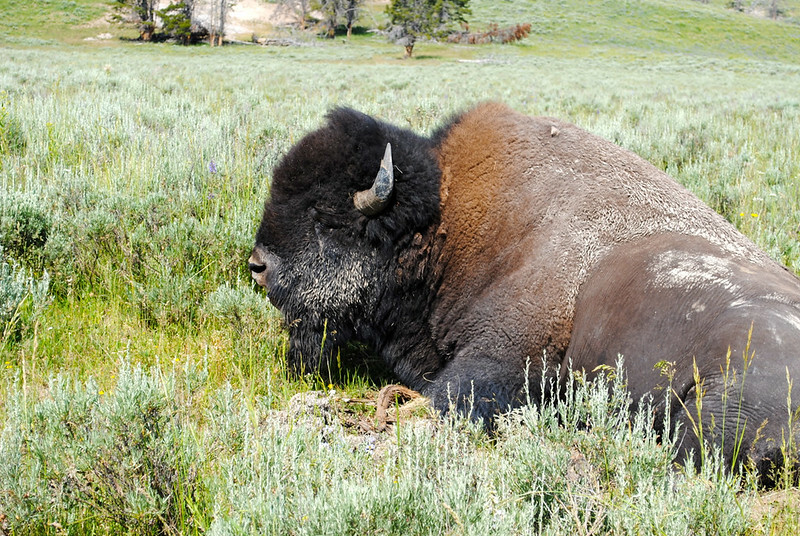 Though at one time nearly extinct in the park, bison now thrive and can be spotted almost anywhere at any time. 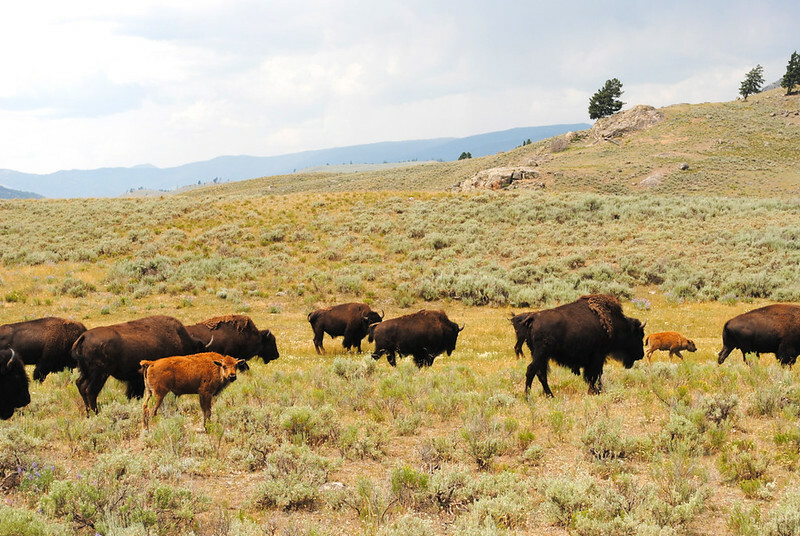 Herds of bison were definitely my favourite thing to photograph and even after my fiftieth picture, I’d still shriek “Stop!” to my husband whenever I spotted one. What can I say? I got snap happy. We christened this guy as Cud because he was simply minding his own business, slowly chewing on whatever it is that bison chew while trying not to nod off in the July sunshine. On our first night in the campground, park rangers were randomly setting off “bear bangers” in an attempt to scare off a grizzly bear that had been spotted wandering in our campground. The grizzly never was spotted and, needless to say, J and I slept with our bear spray and a hatchet in the tent that night. The next day, we were fortunate enough to spot a grizzly bear a few hundred meters away as he frolicked (yes, frolicked) in a meadow, chasing a butterfly or a bumble bee. Other wildlife wasn’t as easy to encounter and we sadly never did see any wolves despite spending nearly an entire day in the Lamar Valley. Luckily enough, on our last afternoon we were caught up in a bear jam and were able to snap a few photos of a mama black bear and her cubs from a very safe distance. Elk were also quite abundant and I quite nearly and literally bumped into one while heading to the shower house. 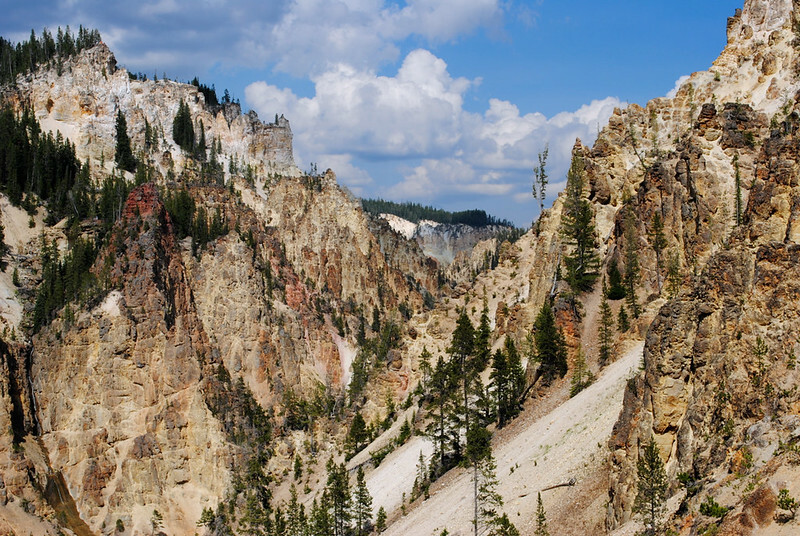 Wildlife isn’t the only way a trip to Yellowstone can head south. 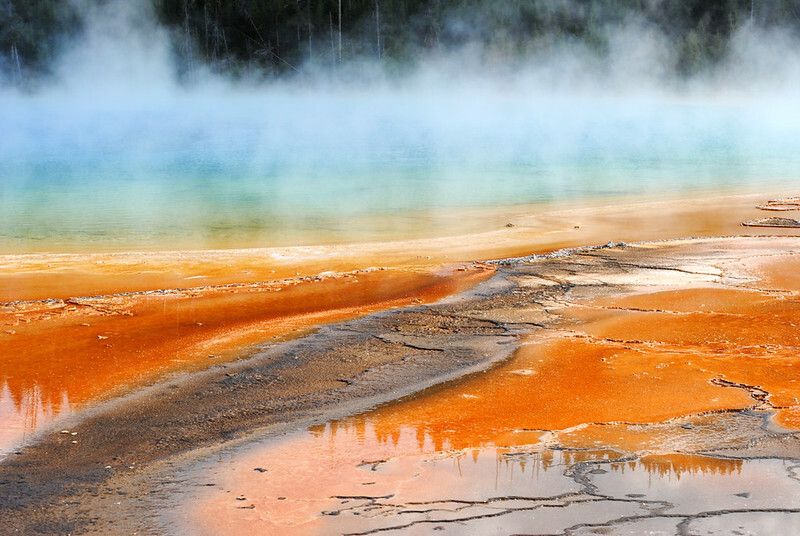 There are also geothermal dangers at nearly every turn. As I mentioned, the park is inside a caldera and there is delicate earth crust, thermal pools, geysers and other potential hazards. 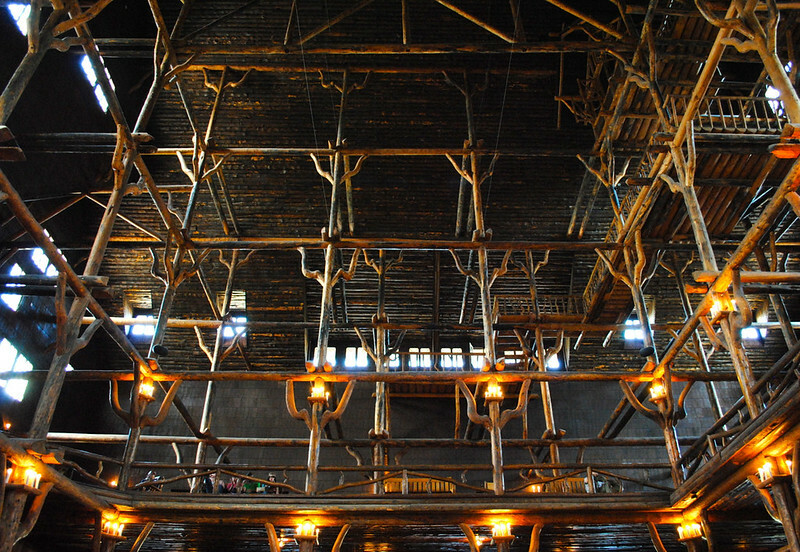 Though that said, with a bit of precaution and common sense, these scenic wonders can be something to write home about. Hiking is one activity my husband and I love to do, so before fighting the crowds at Old Faithful, we made the three-mile trek to Lonestar Geyser, deep in the woods. 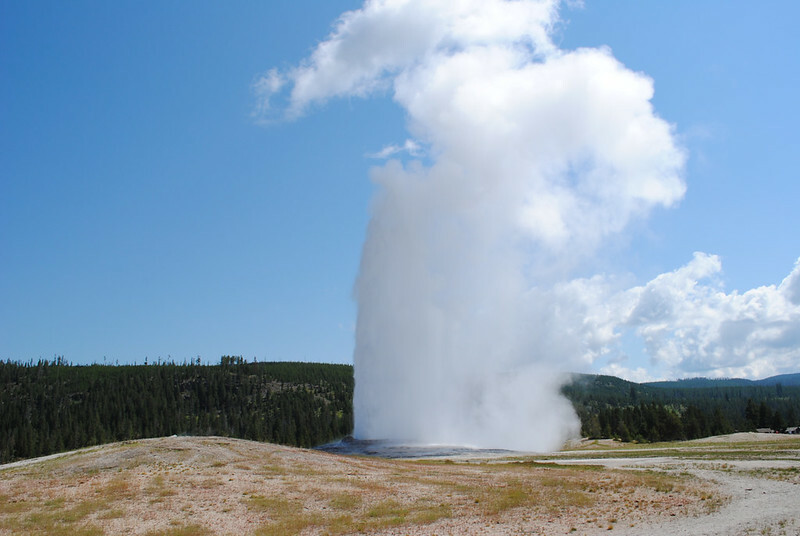 Unlike Old Faithful, Lonestar’s timing isn’t as accurate so seeing it spout off can be hit or miss. Lucky for us it was a hit and we got there just in time for the show. 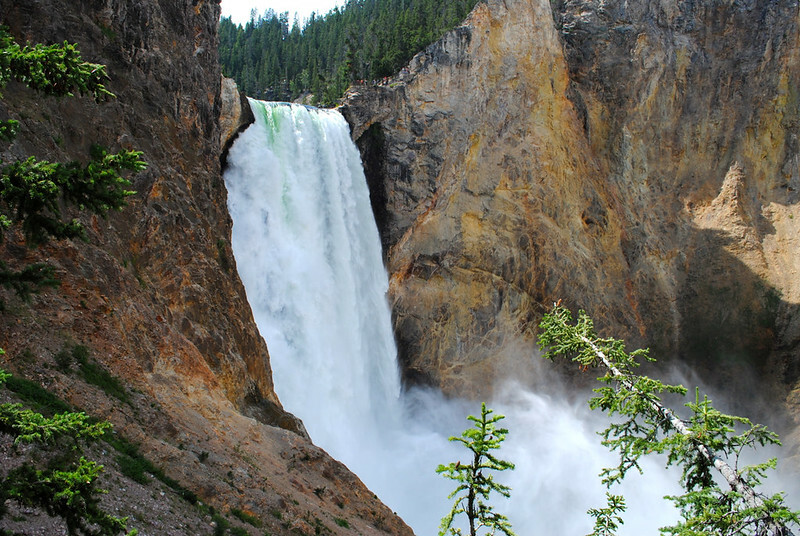 We also made a quick stop at Lower Yellowstone Falls and set off down Uncle Tom’s Trail, a steep set of stairs that leads to the bottom of the falls. Coming back up isn’t unlike North Vancouver’s Grouse Grind – just a heck of a lot hotter. 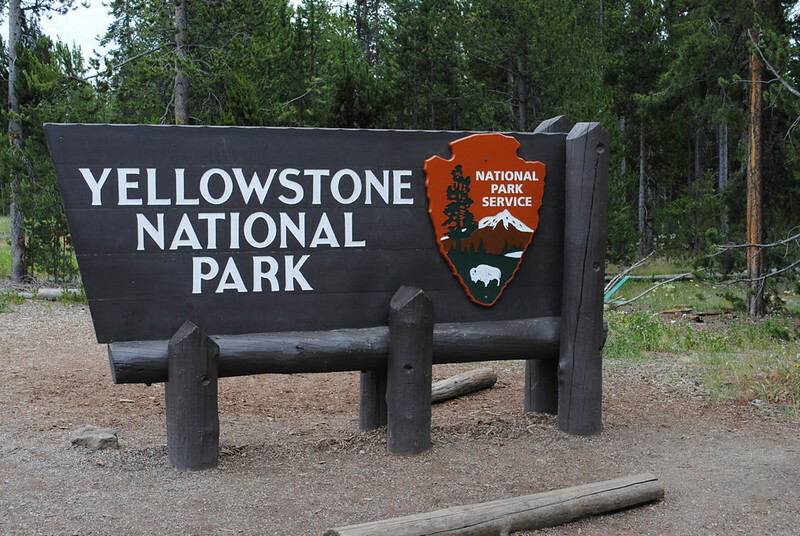 With its massive spread and seemingly endless offering of hiking trails, viewpoints, wildlife, geysers, and recreational opportunities, there was no way we could see and do everything that Yellowstone National Park has to offer. 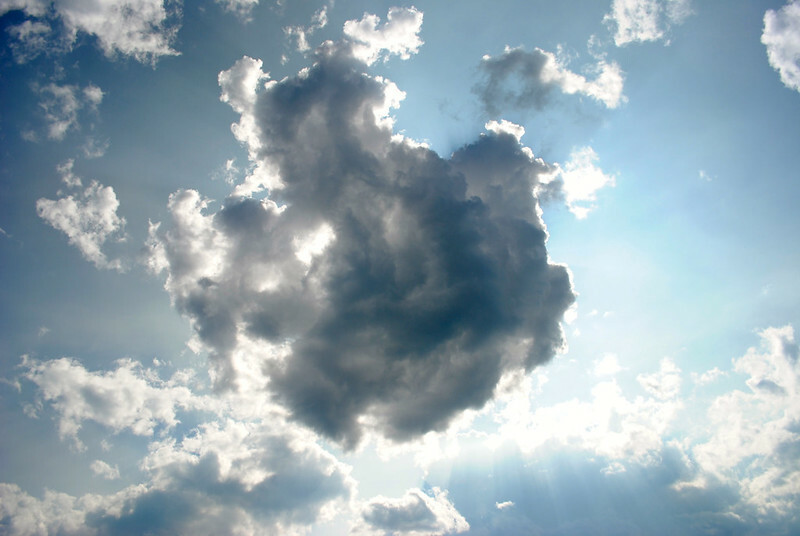 The good news is that it gives us a multitude of reasons to return one day. Next time I’d like to see the park in spring or fall to experience cooler temperatures and smaller crowds. If I could do it again, I’d also slot in some time to check out the Grand Teton mountains to the south and spend a little bit of time in Jackson, Wyoming (because a stop at Starbucks just wasn’t long enough). 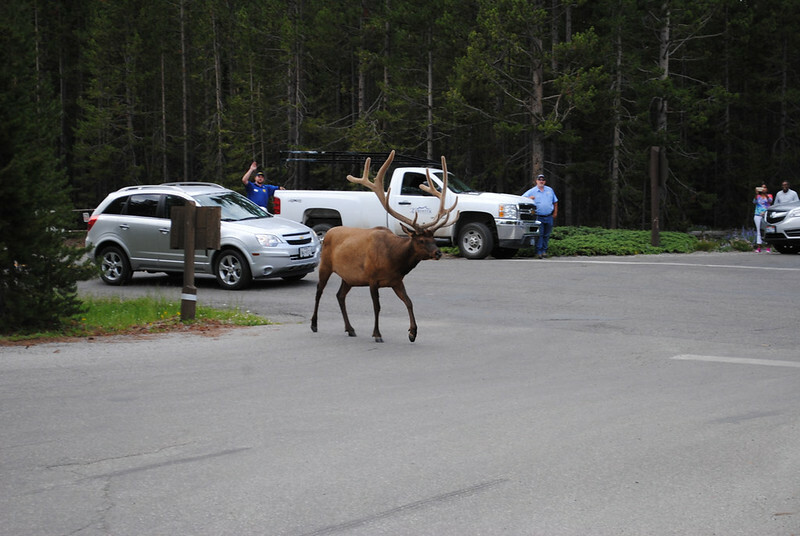 *Yellowstone National Park is home to an array of wildlife and it’s important to pay attention to all posted signs and instructions from park rangers. 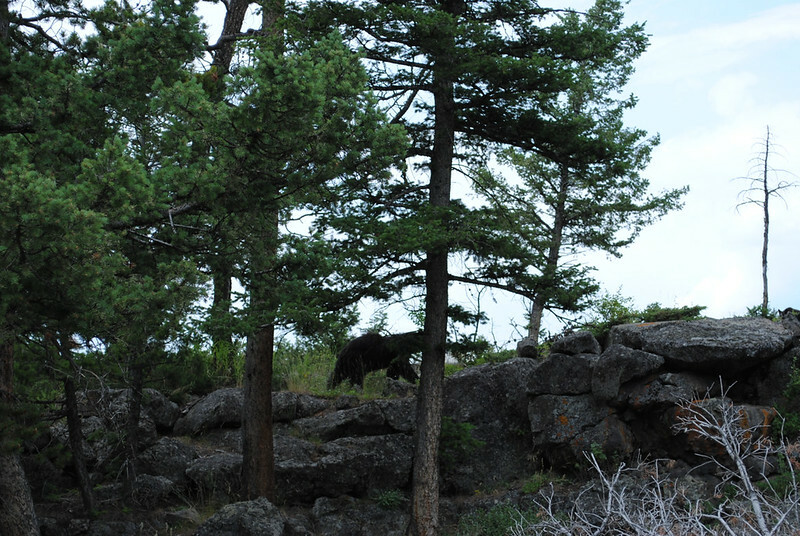 While hiking, carry bear spray, make noise, and hike in groups of three or more. For more information, please refer to the National Park Service’s website. Keira, this was very informative. Love the pics we drove through when we did the Road to the Sun when the girls were young,but didnt stop. Happy trails.